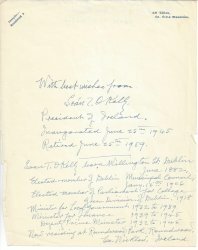 [Seán MacEntee, Fianna Fáil politician and Tánaiste.] Typed Letter Signed ('Seán MacEntee') to T. J. Hickey, editor of 'The Statist', commending an article on Hilaire Belloc by Collin Brooks. With Autograph Note Signed from Hickey to Brooks. 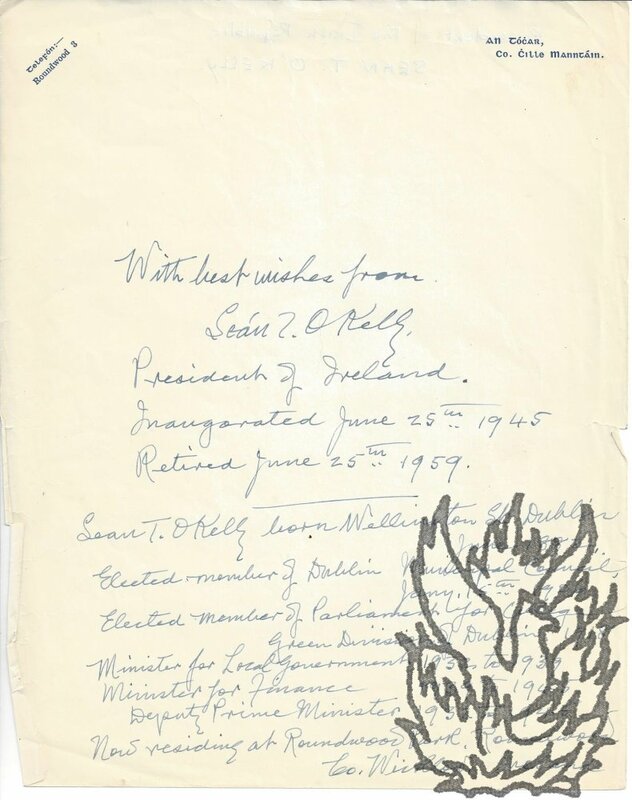 On letterhead of the Oifig an Aire Airgeadais, (Office of the Minister for Finance) Baile Átha Cliath. (Dublin). 27 July 1953. 1p., 4to. In good condition, lightly aged, with punch holes at margin. MacEntee begins his letter to Hickey: 'In the tribute which “The Statist” pays to the late Hilaire Belloc a reference is made to his essay on usury. I read this some time ago but cannot recall the title of the volume in which it appeared. I should be grateful, indeed, if you would be kind enough to make good the lacuna by supplying the missing title.' He congratulates Hickey 'on the article itself'.